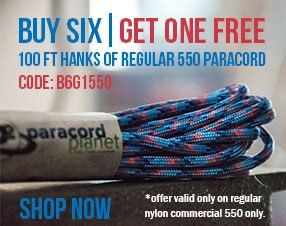 If you love the outdoors, you'll love parachute cord! Strong, lightweight, and durable, it's the most versatile material ever developed for making outdoor gear and accessories. This book shows you how easy it is to use colorful paracord to create attractive and useful survival bracelets, lanyards, straps, and more. 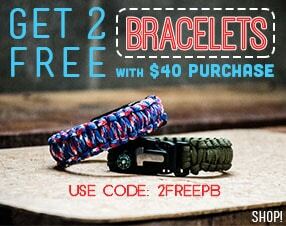 Paracord Outdoor Gear Projects takes you step by step through all the knots and wraps you need to know. Get practical advice on tools and materials, and learn the right way to melt and fuse the cut ends of your cord. Whether you're camping in the wilderness, working outside, or just walking the dog, you're sure to find the ideal DIY project here. 25 feet of Black, Orange, Olive Drab, and Charcoal Gray 550 paracord. The following outdoor projects and knots are included in this book: Survival bracelet, flashlight wrap, bedroll straps with handle, hiking stick grip, figure eight knot, terminal knot, turks head knot, six strand flat braid, and more!